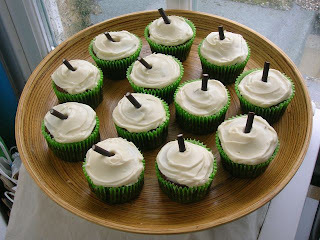 First off we have a summer throwback (you never know, that Indian summer could hit any day now...) from Caroline of Caroline Makes..., who made Pina Colada Cupcakes but didn't want to buy any Malibu and instead used rum flavouring, which is ok by me! I especially love the cocktail umbrellas and pineapple flowers she used to decorate with. I had hoped that this challenge would be up Mel of Sharky Oven Gloves' street, and luckily I was right! She made this amazing Banana, Hazelnut & Rum Upside-Down Cake. I think the spiced rum would add a fantastic kick to the banana flavour, though I would never have thought of putting the two together myself. 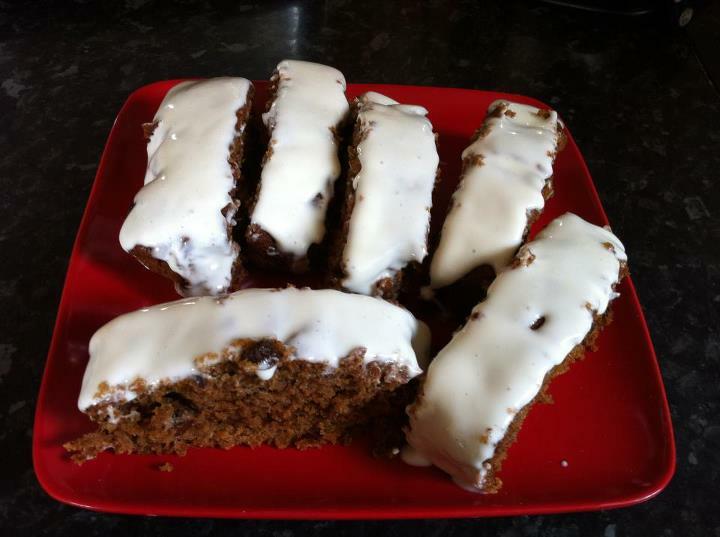 Charlene at Food, Glorious Food made this West Indian Fruit Cake With Cream Cheese Topping - in all my years of baking, would you believe that I've never actually made a fruit cake? 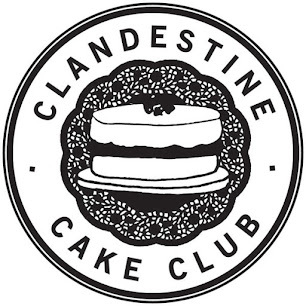 This one looks good, and with dark rum and cream cheese icing involved this cake could surely never go wrong, so I might have to give it a go. 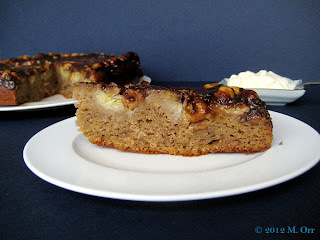 Next up is my entry: Fig & Rum Blondies. Not only are these spiked with rum and delicious, but they are also low calorie so are perfect for dieters with a sweet tooth. Ros at The More Than Occasional Baker made these gorgeous looking Painkiller Cupcakes, based on the famous cocktail. I've never tried the cocktail, but if it's anything as good as these cupcakes look then we'll be on to a winner! The white chocolate cream cheese icing also sounds like it's to die for. Mel at Sharky Oven Gloves had a second entry for me: she made these artsy-looking Mojito Macarons when a friend from Wellington, NZ, came to visit. I hope her friend was suitably impressed! 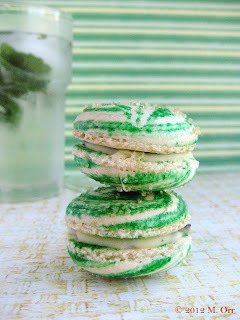 I've never had a good mojito, but I think I should try these macarons, just to be sure. Continuing the mint theme, Choclette of Chocolate Log Blog has made these scrumptious sounding Chocolate Mint Rum Cocktail Cupcakes. I especially love how the green cases match the mint theme of the cupcakes and the 'straws' sitting in the icing really give them a cocktail feel. What a great selection of rum-based treats! It's a good thing I have a lot of rum left, as I am tempted to try making all of these. This is what I love about ingredient-based round-ups - there are loads of suggestions for one particular ingredient all in one place, so if you're stuck all you have to do is go back to that page. Genius! I'll be back on Monday with the October challenge. See you then! Wow, these all look great! Can't wait to see what you come up with next month, but please don't make it too hard! Wow they all look great and I love the two tone macarons! You obviously didn't need to worry, this is a lovely round-up of rum based treats - all of which I'm very keen to try. I'm with you on the ingredient based challenge. I often resort to WSC when I'm wondering what to do with a certain ingredient. I've just realised I meant that the 'straws' in your cupcakes gave a good 'cocktai feel', not 'cupcake feel'! I'm so sorry - I obviously had cake on the brain! This is a totally delayed response (apologies! ), but I love the round-up! Your comment that you hoped the challenge would be right up my street really made me laugh – you know me too well! You know, I've never made a fruitcake either. I think I'll have to rectify that!